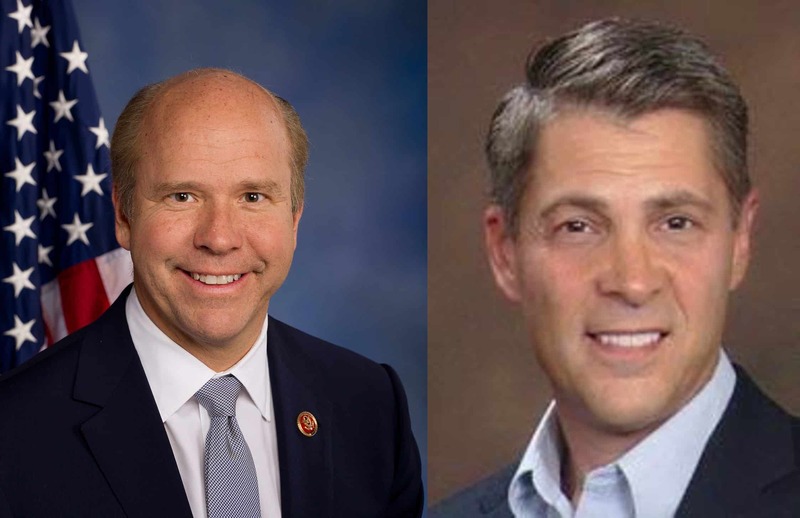 A Super PAC formed to support Amie Hoeber’s congressional campaign is touting a new poll that places Hoeber and the incumbent Democrat, John Delaney, in a “statistical dead heat.” The Super PAC, Maryland USA, formed in July 2015 and chaired by Joel Ritter – a veteran political consultant and Super PAC expert – announced today that it hired Tel Opinion Research to conduct a poll to gauge the level of support for Hoeber in Maryland’s 6th Congressional District. The poll claims that of those surveyed, Hoeber sits at 38% compared to Delaney’s 40%; George Gluck, a perennial Green Party candidate, is at 4%. According to the news release, 19% of voters remain undecided. Tel Opinion Research, according to its website, is a Republican polling and market research firm that helped “re-elect Maine Governor Paul LePage and continued [our] work on behalf of Governor Pat McCrory of North Carolina.” The company is run by Barry Zeplowitz, a New York-based pollster, and Bill Lee, a national political and grassroots consultant. Maryland USA’s news release did not indicate whether voters in Maryland’s 6th District were actually surveyed, nor did it provide any specific demographic details with respect to whom was polled – and where. I reached out, via email, to Michael Leavitt, Maryland USA’s spokesman, for more details about the poll’s findings. As soon as I speak with Mr. Leavitt, I will report the details of my conversation to add to this report. With little insight into the poll outside of what was released by the pro-Hoeber Super PAC, I cannot say with any certainty whether the results are credible. Hoeber is still widely unknown among Democratic and Independent voters in Maryland’s 6th Congressional District, however; even with his obvious scurry of congressional election-year activity in the last six months, Rep. John Delaney is debilitatingly unpopular among Republicans, Independents, and even some Democrats. Last Saturday, Bill and Holly Proctor held a house party for Delaney at their home in Hagerstown. Multiple sources who attended Delaney’s Hagerstown house party and who wish to remain anonymous reported that the party was a “total bust” and had a “poor showing.” Sources who attended the party sent me a dozen or more text messages to report that Delaney volunteers and paid Delaney campaign staffers are taking serious the threat that Amie Hoeber poses to upsetting Delaney this November. Delaney staffers have apparently told multiple Democratic volunteers that they are worried a Hoeber upset over Delaney will harm his potential gubernatorial bid in 2018. Several CD-6 Democrats have also relayed to me that Delaney’s specious attacks on both Hoeber and Gov. Larry Hogan with regards to the Republican Party’s presumptive Republican nominee, Donald J. Trump, have fallen flat. Hoeber has said on the record that she will support whoever emerges as the Republican nominee. Recently – as early as January of this year – John Delaney and his wife, April, hosted a political fundraiser at their Potomac home featuring presumptive Democratic nominee Hillary Clinton. Delaney, who is heavily flirting with the idea of running a 2018 gubernatorial campaign, is leading the charge for Hillary Clinton in Maryland and serving as her top congressional surrogate. Delaney’s unabashed support and embrace of Hillary Clinton is already proving problematic for the liberal congressman all throughout the 6th Congressional District, where the former Obama secretary of state is deeply unpopular. On the surface, Hoeber has a real shot to upset John Delaney this November. The growing national fervor against establishment politicians in the likes of John Delaney should bolster Hoeber’s, a political outsider, chances to oust the liberal incumbent this fall. However – and this is a biggie – it would be wise of Hoeber to initiate an urgent staffing shakeup; it’s an absolute necessity that she choose a Maryland-based campaign manager, grassroots staffers, and a campaign team who fundamentally understand the 6th Congressional District and its fantastic people. Without staffers, volunteers and grassroots activists from the 6th Congressional District – especially Western Maryland – Hoeber may very well likely fall short of her goal to defeat John Delaney this fall. I cannot emphasize this point enough. Maryland USA commissioned Tel Opinion Research to conduct a public opinion survey of the Maryland 6th contest between incumbent Democrat John Delaney, outsider Republican Amie Hoeber, and Green Party candidate George Gluck. The poll conducted between May 18th and 20th of 600 registered voters who are likely to vote in this year’s general election revealed that Amie Hoeber, who is a successful businesswoman and has never held elected office, has a real opportunity to upset John Delaney who has been an avid supporter of President Obama and a long-time ally of Hillary Clinton. The poll’s Margin of Error is +/-4. “Maryland USA has focused on introducing Amie Hoeber to a broad section of the electorate and today’s poll results show our plan is working. Hoeber begins the general election in a strong position with a path to victory.” said Mr. Leavitt. Maryland USA is a federal Super PAC registered with the Federal Elections Commission and was established to independently support Amie Hoeber and give her a fighting chance against former investment banker John Delaney (one of the wealthiest members of Congress) and the support he will continue to receive from his friends on Wall Street and Hillary Clinton. It’s important to note that federal law bars coordination between Super PAC’s and congressional campaigns.